Malaysia has plans to field a diverse and capable military rotorcrait fleet, but funding constraints are restricting much-needed modernisation efforts. Until 1988 when the Royal Malaysian Navy (RMN) purchased six ex-UK Royal Navy Westland Wasp HAS1 helicopters to form the service's Naval Air Wing, helicopter capability for the Malaysian Armed Forces (MAF) resided solely with the Royal Malaysian Air Force (RMAF) with its S-61A-4 'Nuri' medium helicopters and Alouette III light helicopters. This situation was due to the fact that, until the 1980s, the MAF was primarily engaged in combating a communist insurgency, and as a result much of the defence focus was on the army, with the RMN and RMAF primarily existing to support the ground forces. A clear indication of the subordinate role of the airforce and navy was that the chiefs of both services were only of three-star rank: in contrast to the army chiefs four stars. In addition; the position of chief of the armed forces was always held by an army general. However, by the mid-1980s, the MAF began transforming itself from this army-centric focus to a modern organisation with all three services on an equal footing. This was made possible by the virtual disappearance of the communist threat. The Malaysian Army was therefore a ble to move away from its light infantry orientation, and concentrate on matching its regional neighbours which had largely adopted a combined arms approach. Furthermore, the emergence of disputed maritime territorial claims, particularly in the South China Sea and the Spratly Islands, led Malaysia to realise that both the RMN and RMAF needed to be strengthened significantly, and could no longer be restricted to largely supporting the army. This transformation had a knock-on effect on the doctrine and utilisation of helicopters in all three services. 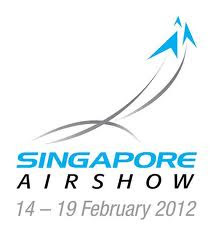 The RMAF largely had no objection to the establishment of a Naval Air Wing and an Army Air Corps (PUTD). However in the latter instance, the RMAF's view was that the PUTD's existence should not preclude it from continuing to operate medium rotorcraft for its own purposes, and that attack helicopters would he operated solely by the air force. The RMN, as a result of an increased focus on blue water operations and the expansion of its fleet required naval helicopters to support its ships in various respects. A particular concern was ASW operations, given the number of submarines from various nations operating in the region, while shipboard helicopters were essential for vessels conducting EEZ patrols due to the helicopter's high speed and wider mission radius. Meanwhile, the army's plan to transform itself into an all-arms force meant it required helicopters to provide reconnaissance and tactical support in the field. The need for a dedicated fleet was further uelled by the army's requirement to have these assets under its own operational control, and to be a ble to determine its own criteria for helicopter procurement. A dispute over which service would operate the eight Denel Rooivalk attack helicopters that were planned to be purchased in the mid-1990s was settled in favour of the PUTD. This victory became moot however, as the 1997 economic crisis forced Malaysia to cancel the acquisition. 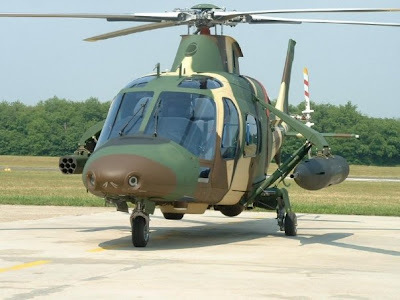 The attack helicopter debate did not prevent the RMAF from continuing to assist the PUTD with training and technical support, having transferred a number of personnel and ten SA 316B Alouette Ills along with the RMAF's Keluang air base to the army in 1995. Declared operational in 1997, the PUTD's strength currently stands at 117 officers and 339 enlisted personnel including 72 pilots. The organisation has now been upgraded to regimental status, although it still only fields a single squadron, No 881 with 11 A109s. The Alouette Ills transferred from the airforce are still used for basic helicopter training. Currerrtly the PUTD's role is limited to reconnaissance, observation and light transport, along with the peacetime duty of providing emergency medical flights. Two French Army helicopter pilots have also been attached to the PUTD to provide advanced training. The army's long-term plans initially called for the establishment of a medium-lift tactical helicopter squadron and an attack helicopter squadron. It was originally intended that the PUTD would take over the Nuri fleet from the RMAF as an initial capability, but this plan fell through due to the delay in funding the EC725 Cougars selected as Nuri replacements by the air force. The PUTD also subsequently expressed a preference for new helicopters rather than second-hand ones. 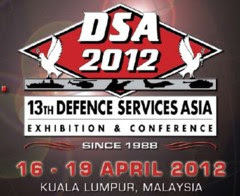 However army chief Gen Ismail Jamaluddin said in February this year that the service has now decided that it would be more cost­ effective for it to continue relying on the RMAF for its utility helicopter requirements and instead press on with the attack helicopter programme. 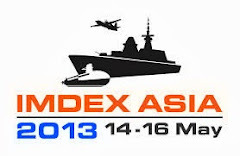 The Naval Air Wig has a stanclikg requiem ent for additional ASW-capable helicopters, although these may not necessarly be more Super Lynxes.He stated that the army has made a request for a squadron of 8-12 attack helicopters under the Tenth Malaysia Plan (2011-2015) the Malaysian government's overall national budget. Whether Kuala Lumpur will grant the request hinges on funding availability and the level of priority given to the RMAF's S-61 replacement needs. 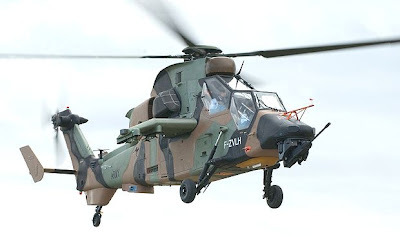 Although Jarnaluddin would not say which helicopters the arrny is looking at, both the Eurocopter Tiger and Boeing AH-64 Apache have been mentioned in the past as possible candidates, with the Rooivalk now having dropped out of consideration.